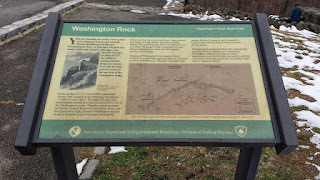 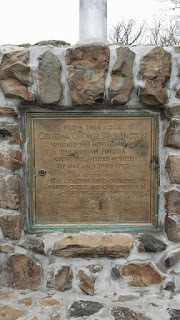 I visited Washington Rock State Park last month while exploring some American Revolution sites in Somerset County, NJ. 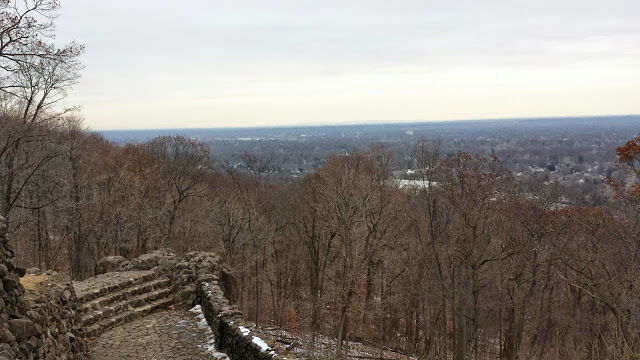 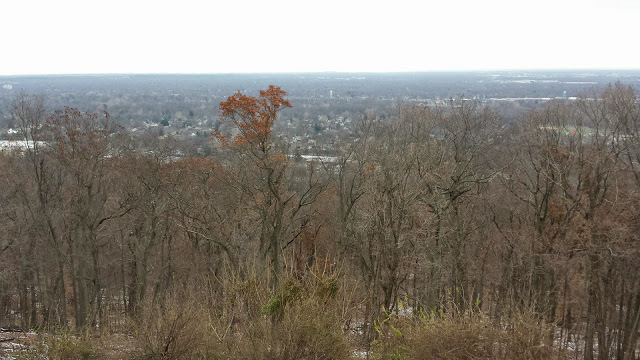 Washington Rock provides visitors with a million dollar view of surrounding towns. 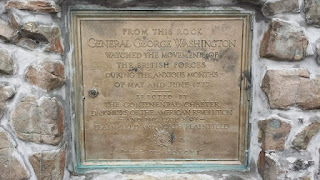 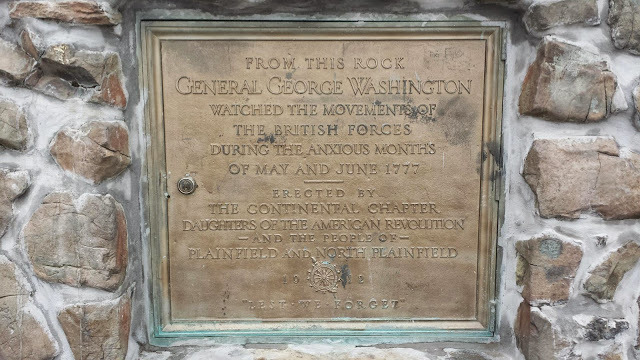 It is no wonder that many historians and local citizens have claimed over the years that the rock was once used by General George Washington to observe British army movements in the area. 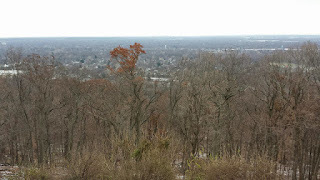 On the Sunday afternoon I visited, it was evident that the park is very popular amongst residents of the area. 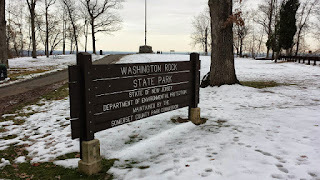 There was a steady stream of visitors pulling into the small parking lot over the span of the hour I spent at Washington Rock exploring the park. 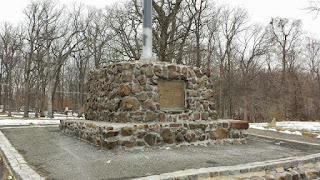 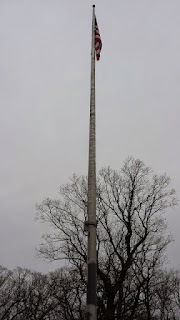 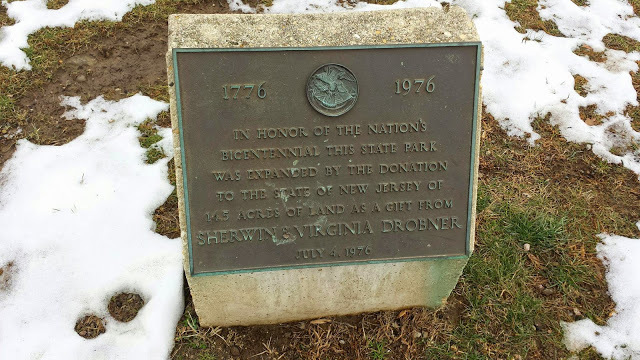 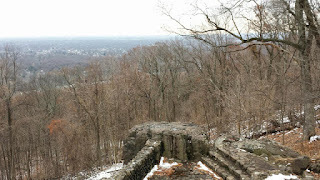 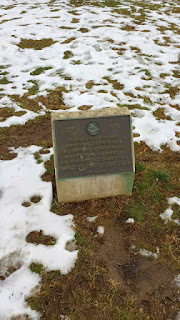 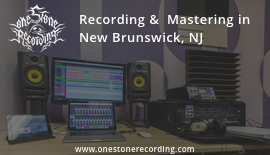 "One of the oldest parks in New Jersey, Washington Rock was originally purchased by the state of New Jersey in 1913 to commemorate the historical events of June 1777. 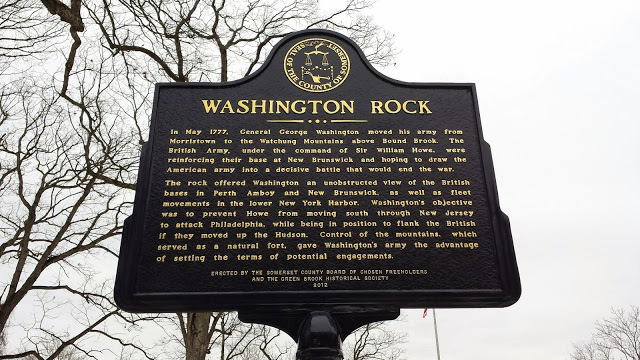 The strategic location of Washington Rock made it a valuable lookout point during the American Revolution for General George Washington when the British army under General William Howe was moving toward Westfield. From the vantage point of this natural rock outcropping, General Washington was able to instruct his troops to circle behind Howe’s troops and cut off their retreat. 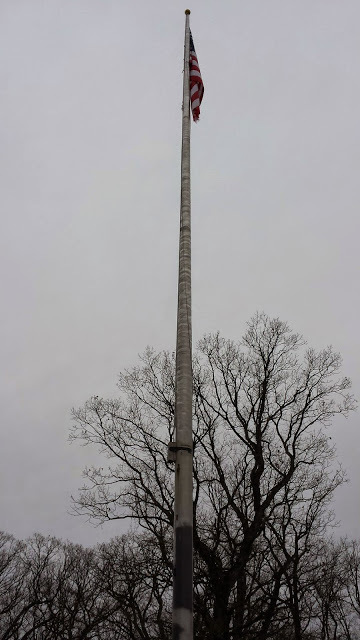 Today, the park still offers panoramic views and offers family picnic sites."